Since 2006, The Lohman Group (TLG) has worked with urgent care center entrepreneurs nationwide and offers a menu of services tailored to individual client needs. 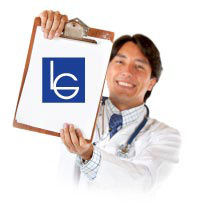 TLG can provide a full-service "turnkey" urgent care center or "a la carte" selections" from TLG's extensive product and service menu. With either choice, TLG clients benefit from years of staff experience and expertise. Why Own an Urgent Care Center? Of the 9,000 urgent care centers identified by the Urgent Care Association of America (UCAOA), 250 were developed in the past 2 years. Urgent care is the second-fastest-growing segment in health care with an estimated 4 centers opening weekly nationwide. Accreditation of urgent care centers by the Joint Commission, (formerly the Joint Comnmission on Accreditation of Healthcare Organizations) began in 2008 and by the American Association of Urgent Care Medicine in 2009. TLG recommends that an urgent care center maintain its quality of care through employing Board-certified physicians with extensive experience; licensed Physician Assistants or Nurse Practitioners with experience in Emergency Medicine; having multiple examination and procedure rooms and a state of the art radiology suite; the ability to treat children and adults; and walk-in service 7 days a week. The convenience and efficiencies of urgent care have drawn positive attention from the insurance industry throughout the United States. This success is based, primarily, upon walk-in services and extended hours of operation which match today's busy lives.